Bindis can be big and small, red and blue, long and sparkly! Join Noor and Neel as their tiger friend Moochhar Singh leads them to a land filled with colourful characters, all of them wearing their favourite bindis! 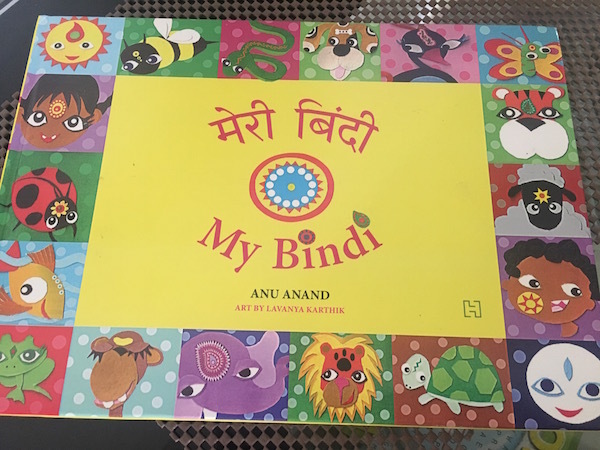 The first of the Meri Duniya (My World) series of bilingual Hindi-English books, Meri Bindi (My Bindi) is filled with imaginative handmade illustrations explained with three lines of text - in Hindi, how to pronounce it and the English translation.